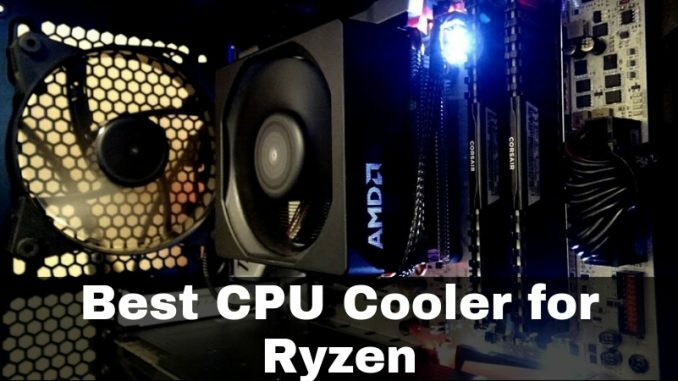 Today, we will have a look at the best AMD Ryzen CPU coolers available which will help you to keep your processor cool. The AMD Ryzen CPUs are the right alternatives for those who want to change from Intel processors, are on a tight budget, or want to try something that is not built for particular tasks like overclocking or gaming. The Ryzen processors are way better than the older FX chips. There are different models of Ryzen CPUs available depending on your purposes and choice of generations. From entry-level desktops to the mainstream processors of 1st or 2nd generation; you can choose your suitable Ryzen system. But, as happens with every other processor, the Ryzen CPUs also gets overheated in extreme conditions and so you need a good cooling component to get the most out of it. The Freezer 13 CO style cooler from the Arctic is the best-rated cooling component for the AMD Ryzen CPUs. Its low-noise & high-cooling performance with multi-system compatibility make it the most popular equipment among the Ryzen users. It is compatible with the AMD sockets like FM2/1, AM4/3+/3/2+/2, 939, 754 as well as Intel sockets like 1151, 1156, 1366, 1155, and 775. It contains a 92mm PWM fan with 6mm double-sided heat pipes and a 45-fin high-quality heatsink with a pre-applied thermal paste for an improved heat transfer through the system. The Freezer 13 CO is one of the most silent specifications for the coolers which delivers passive performance according to the CPU temperature. Apart from the Freezer 13 CO, you can choose from the other three different styles including Freezer 13, 13 limited edition, and xtreme. Its push-pin mounting system offers an easy installation even for the beginners. It consumes about 2.8W power and can remove heat energy up to 200W. 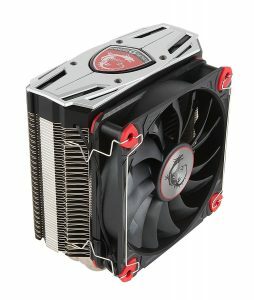 The MSI Core Frozr L is one of the best air coolers I have ever seen. I am not saying that there is nothing better than this cooler, but its high-quality features and low price make it reliable and attractive. It contains a high-quality thermal compound for a permanent and reliable heat displacement. It is ideal for the AMD Ryzen 3 and 5 processors. It has a nickel-plated copper base with four heat pipes passing through rigid aluminum fins. This design gives more efficient heat dissipation by passing the precise airflow through the CPU. The TORX fan technology from MSI gives a sufficient cooling performance. With the two different types of fan blades combination, it generates more silent operation compared to other coolers. The additional bracket for attaching a 120mm fan allows you to use dual fan support for the additive cooling performance. It also supports AMD sockets like AM4, AM3, AM2, AM2+, AM3+, FM1, and FM2 and Intel sockets like LGA 775, 1150, 1151, 1155, 1156, 1366, 2011, and 2011-3. You can choose from three different styles of this MSI air cooler. The fourteen fan blade design which is almost 5 more than the standard air coolers, generates more air flow at a low fan speed. With the excellent working heatsink, big fins, high fan speed, and sturdy copper base, this cooler performs well on the Ryzen 1700X and other CPU models. 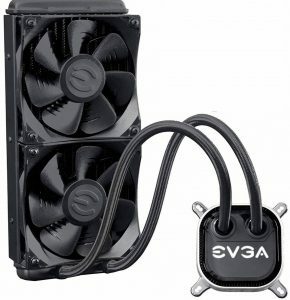 This self-contained liquid CPU cooler from EVGA is an all-in-one solution for the Ryzen processor cooling needs. It does not have any custom tubing or filling which means you will not need to do the maintenance of this component. It is supported by most of the Intel and AMD processors. It has a 240mm dual fan radiator and RGB LEDs which you can synchronize with other EVGA RGB components. 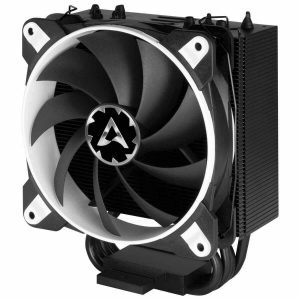 The distinct fan design minimizes the noise without affecting the performance of the system. You can monitor and manage the working of the cooler with the help of the EVGA AIO’s software. It is available in four sizes including CL11, CL12, CL24, and CL28 which will help you to choose the best fit for your chassis. If you buy online, you can also get a free set of four CLC tuner units from EVGA with a one year warranty. 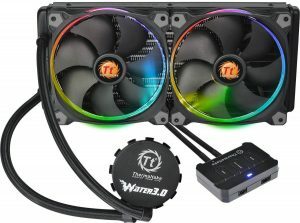 The Thermaltake Water 3.0 is one of my favorite liquid CPU coolers. Its efficient working radiator, long-lasting tubing, and the top-performing water-block all together make value for the money product. It comes with two 14 RGB LED PWM radiator fans with a smart controller to play/pause the LED color modes. Its top-quality pump has an easy installation and a maintenance-free operation. The pump keeps the copper plate cool by generating high water circulation. The copper base plate offers maximum heat dissipation and prevents the overheating issues. It has a 280mm efficient radiator with a secure mounting support system. You can also choose the 240mm or 360mm size. This Ryzen 1700X water cooler also supports Intel LGA 1150/51/55/56, 1366, 2011/2011-3 sockets, and AMD AM2/2+/3/3+/4, FM1/2 sockets. 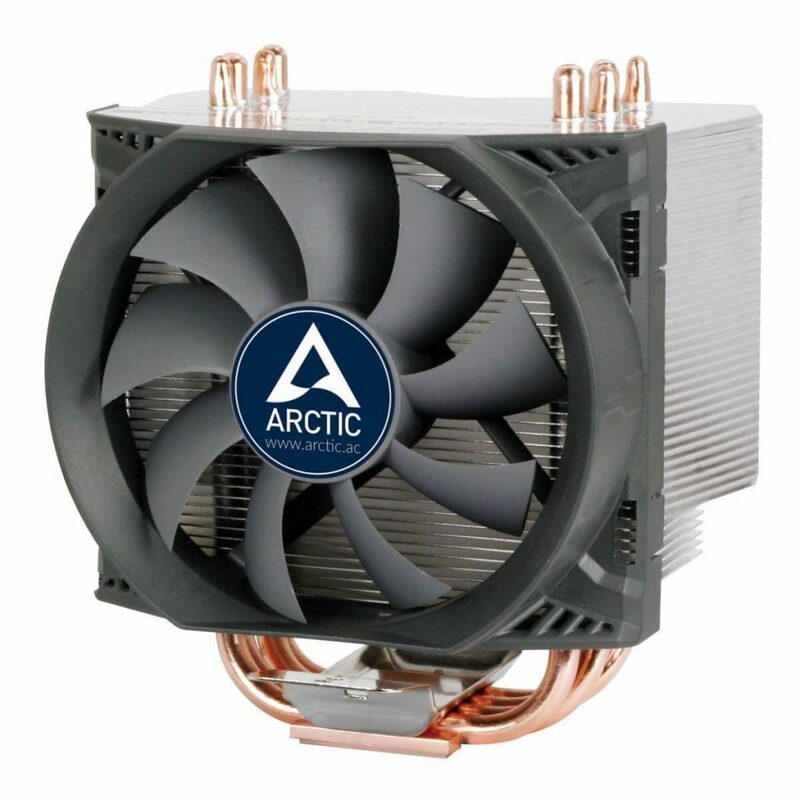 The Arctic Freezer 33 TR is the powerful yet affordable cooling option for the Ryzen CPU users. It works almost wholly passive in the normal operating conditions. It delivers maximum performance even for the high-end CPUs with 18 cores. This updated version of the Freezer 33 is designed explicitly for the AMD Ryzen CPUs. Its three-phase motor delivers silent working even when you work for the more extended sessions. You can choose from the three available sizes and four colors. The patented PWM technology regulates the fan for a range from 200 RPM to 1800 RPM as per the system requirements. With the off-centered heat pipes & 49 aluminum fins, the cooler dispenses more heat from the system to keep the processor cool in the overclocking conditions. The enlarged base of this cooler is meant explicitly for the Ryzen Threadripper sTR4 CPU for giving the extreme cooling performance. 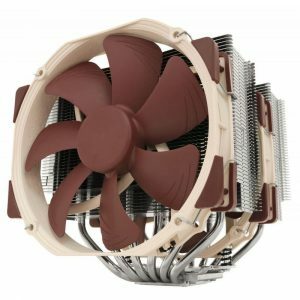 The Noctua NH-D15 has one of the highest amounts of positive reviews among the AMD Ryzen CPU users. It is claimed as the king of the air coolers for its efficient working and silent operation. It is an ideal solution for the AM4 sockets on the AMD Ryzen processors. This cooler has two silently operating 140mm PWM fans for a better air transfer through the system. It has the SecuFirm2 mounting system which designed specifically for the AM4 sockets. A quiet adapter and a high-quality NT-H1 thermal compound help to make a sufficient cooling effect for the extended use. The NH-D15 cooler has won over 200 awards from the global hardware magazines and websites which shows how much modern this equipment is even among the CPU experts. You will get a huge six years warranty from the company for the NH-D15 cooler which is unique in its category. TT Racing offers this genuine Ryzen R7 cooler from AMD. It makes a great synchronization with the memory sticks and delivers an efficient cooling performance even when you overclock your Ryzen CPU. It is specifically built for the AM4 motherboard sockets, but you can install it on any CPU having a 4-pin connector facility for mounting a cooling fan. It comes with a pre-applied thermal paste on an aluminum heatsink which generates the maximum heat dissipation. The 3.81” fan provides a sufficient airflow from the CPU to keep it cool. With its 4-pin connector, you can easily mount it on your system even if you are doing it for the first time. Quiet operation & attractive LED lighting make it more beautiful while you install it on your mobo. The external Ryzen CPU coolers are the boon to the processors, especially in the conditions of the overclocking and overheating. When you want the most out pf your CPU and at the same time want to keep it cool, then you should get a compatible air or liquid cooler for it. 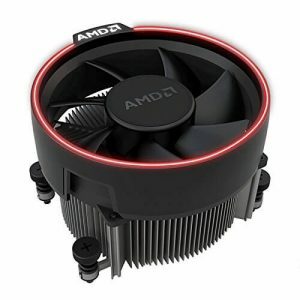 All the CPU coolers mentioned in the list above are meant for the AMD Ryzen systems. You can choose any of them according to your needs and budget. You can share your thoughts on the article in the comment section below.